Watching your child suffer from a serious injury can be an overwhelming experience. There is so much medical information to keep track of, let alone the legal matters related to your situation. 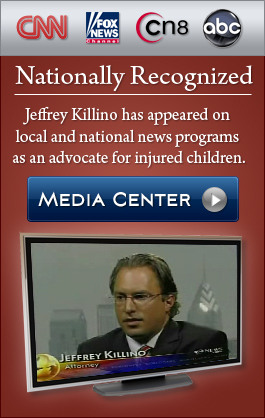 At the offices of child injury lawyer Jeffrey Killino, we understand how stressful it can be to take in so much information at once. We want to make it as easy on you as possible. 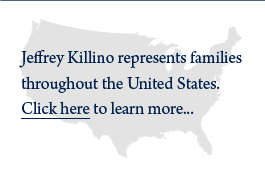 For your convenience, we have provided the following free articles about child injuries and related legal matters. We will be updating with new articles soon, so be sure to check back. For legal advice about your case, contact our offices at 877-875-2927.